It's time to tread carefully. Not looking too impressed, day 1. Hard work for old knees. Going up Red Point Hills. A break on the beach. A helping hand on a hard day's walk. Tassie's iconic South Coast Track has reopened after being closed due to bushfires. This week Tasmania's Parks and wildlife Service reopened the park after a thorough safety assesment. Bushfires have ravaged many wilderness areas on the Apple Island and many parks and walking tracks are still closed. The South Coast Track lies entirely within Southwest NP and takes you through the heart of over 600 000 hectares of wild, inspiring country. The track is more remote than some other walks in Tasmania, such as the Overland Track. 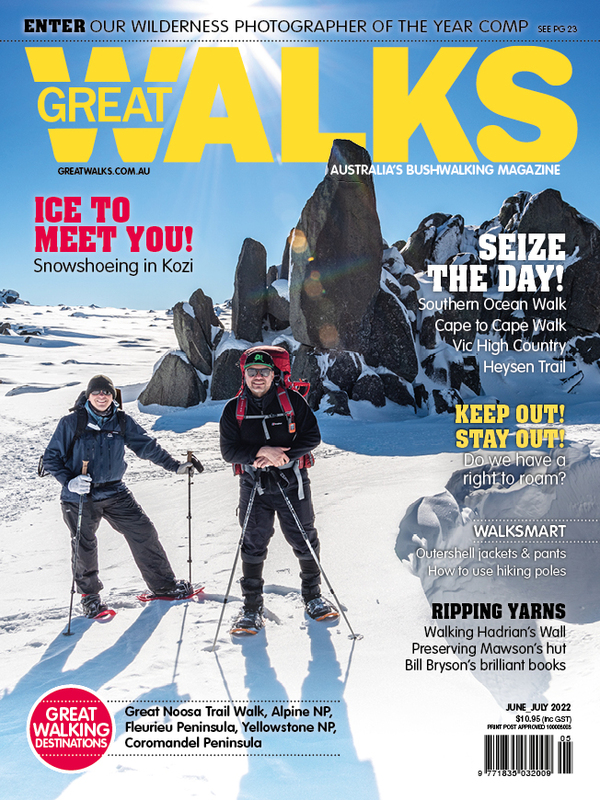 It is recommended that you gain experience on other Tasmanian walking tracks before attempting the South Coast, as you will be a long way from help should you need it. Also check out these photos Kelly Pope took of her and her family walking the south Coast Track a while back.